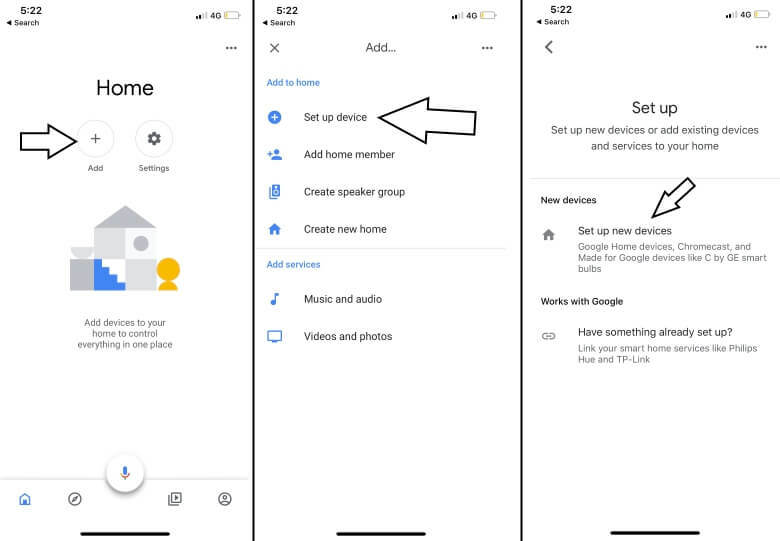 Before going to the tutorial of how to set up Google Home with iPhone XS Max/XS/XR/X/8/7, we would like to flash a light on few noteworthy features of Google Home. Give the command to Google Home and in seconds you will get results from it. However, if you wish to have Google Home in every room of your home, yes you can set up multiple Google Home on iPhone. Since all such functionalities make it best personal Assistant for you and your home. Follow up the article and learn how to set up Google Home with iPhone XS Max, iPhone XS, iPhone XR, iPhone X/8/7. If you do like this, share it with your colleagues and friends. Step #1: Power On the Google Home, plug the adapter to do so. Step #2: You will need Google account to use Google Home, signup if you don’t have Google account. Even if you want to manage and create a Google account for a child which is under 13 years, you can do it with Family Link. Step #3: Open up the App Store in your iPhone and download and install Google Home app. Step #4: Keep note that the Google Home and iPhone are connected to the same Wi-Fi network. Step #5: It’s time to launch Google Home app right in your iPhone. Step #6: Tap “Add” and then select “Set up the device”. Step #7: Next, tap “Set up a new device in your home”. Step #8: Now, the Google Home app will search the nearby Google Home device, tap on the one that you want to “Set up” and tap “Next”. Step #9: After that Google Home app will configure and connect the Google Home. It might be possible in the app will be alerted with the message, “Your phone may disconnect from Wi-Fi during setup”. 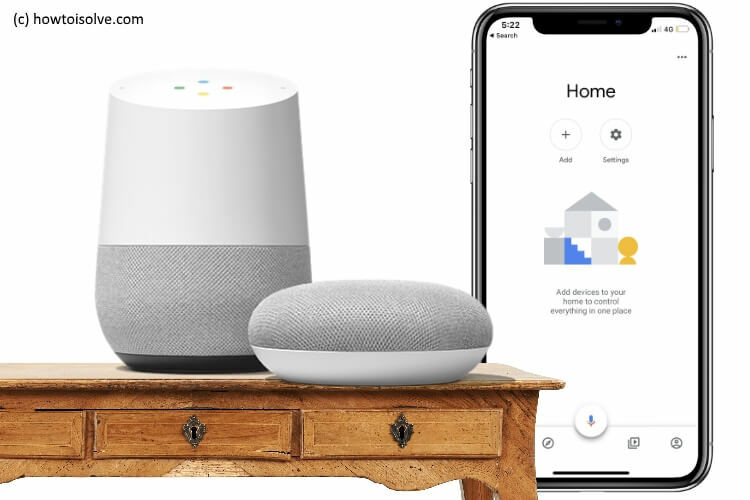 Step #10: So when you try to connect the Google Home with the app, you will likely to hear the chime from the Google Home, to confirm you are setting up the correct Google Home properly. Tap “Yes”, when you hear the tone. Step #11: If you want to help or bring some improvements in Google Home then tap “Yes, I’m in” or leave it by selecting “No thanks”. Step #12: Choose the room where you want to place the Google Home. Step #13: Besides, you can create a custom room, by selecting “Add custom room”. Name it and tap “Next”. This helps the Google Home, to identify the iPhone. Step #14: Connect the iPhone to the Wi-Fi. Step #15: Go through the “Read the Information”, and tap “Next”. Note: To set up Voice Match, accept the Google Assistant permission. Step #16: If you want perfect and speedy results, teach the Google Home to recognize your voice. So whenever you speak, the Assistant can respond you quickly. Follow the onscreen instructions. The advantage of setting up Voice Match is you can secure your personal results. If you do not set up Voice Assistant then another person can also access your previous personal details. Step #17: Then, you will have to give permission to Google Home to pre-fill the address. Or you can enter the address manually. Why address? Because when you will ask Google Home about the local details such as Weather, Traffic etc. Step #18: Do you want to access Media Services? Then add one by tapping (+) and then select “Next”. Here you can select default music service if you have link more than one music service. Step #19: Type name for your device and tap “Next”. Step #20: If you want to receive emails regarding the device, then Sign Up or tap No Thanks. Step #21: Now, add a payment method. Step #22: Lastly you will see the Summary screen, which is likely to show you a review of set up. Step #24: “Finish Setup”, you’ve done it! Enjoy new tips every day after following us on social (Twitter, YouTube and FaceBook), Share your Feedback and Question on having problem on use Google home from iPhone.